If Kommunernes Landsforening has its way, it will soon no longer be possible for municipal employees to smoke during working hours. The new proposal would mean they would not be allowed to smoke at work, on the way to and from work or when they work at home, reports Politiken. “Smoking is the single most negative factor for overall health in Denmark. 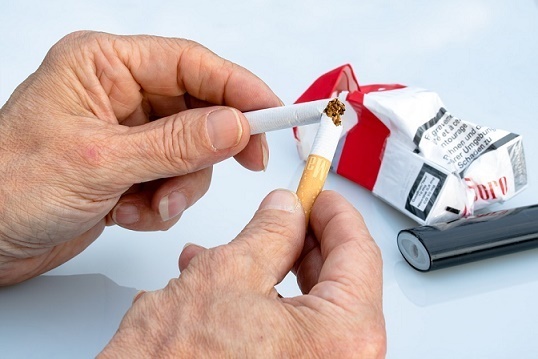 That’s why we are urging all the municipalities to make a special effort to make more people stop smoking and to prevent fewer starting,” said Thomas Adelskov, the chairman of KL’s social and health committee. If the country’s municipalities choose to go down this path, they seem to have the backing of the Danish population. A new opinion poll carried out by Megafon for Politiken and TV2 shows that 40 percent think that smoke-free work places should be introduced – not only in the municipal regime but also in private companies. Smoke-free schools are even more popular. Last November, a poll carried out by Kantar Gallup for the cancer organisation Kræftens Bekæmpelse showed a whopping 79 percent behind the idea, with only 9 percent against. Professor Knud Juel from the government health institute Statens Institut for Folkesundhed is very pleased with the trend. “I don’t believe that anybody thinks that our children and grandchildren should smoke at school and KL’s suggestion takes that into consideration,” adds Juel.